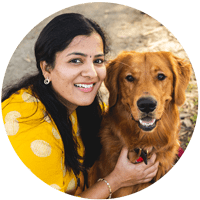 For this recipe, I did not use evaporated milk or condensed milk and no ghee either. All I used was milk, sugar, tapioca pearl, nuts and cardamom powder. 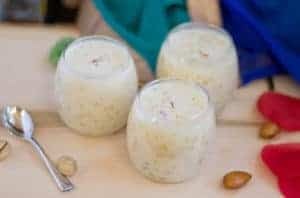 This kheer is a simple five ingredient fix. Just to bring out the colors, I used custard powder and saffron strands to decorate, but that’s entirely optional. 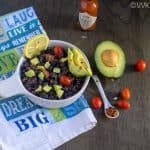 One thing to note is that this recipe involves soaking time. Tapioca pearls have to be soaked for a minimum of 2 hrs. 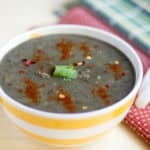 For this recipe, I soaked for 2 hours. 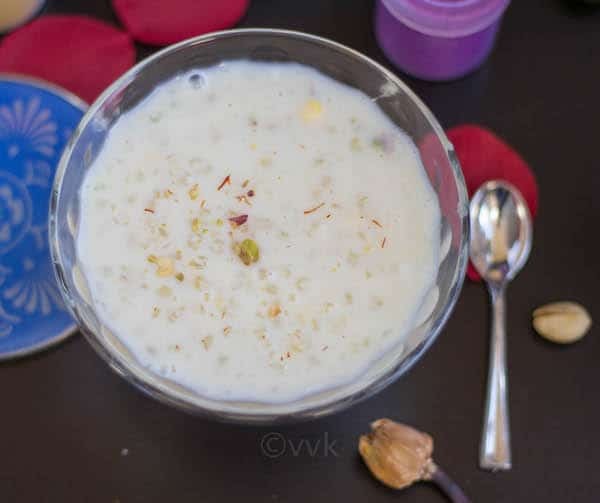 Once soaked, preparing this kheer is very simple. Without any further ado, here is the recipe. Wash and soak the tapioca pearls for at least 2 hours. Drain the water and set aside. Mix the custard powder in 2 tbsps of water and set aside. I directly added the custard powder, but I would recommend mixing the custard powder with water or milk. Chop the nuts and set aside. In a heavy bottom vessel, boil the 4 cups of milk. 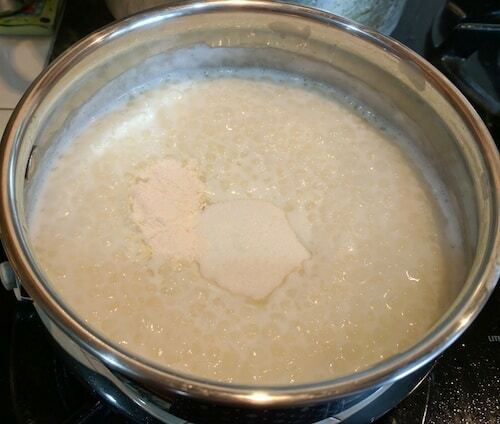 Let the tapioca cook in the milk under medium heat. Keep stirring the milk for every 2 to 3 minutes. In about 7 to 8, minutes the tapioca will be cooked. 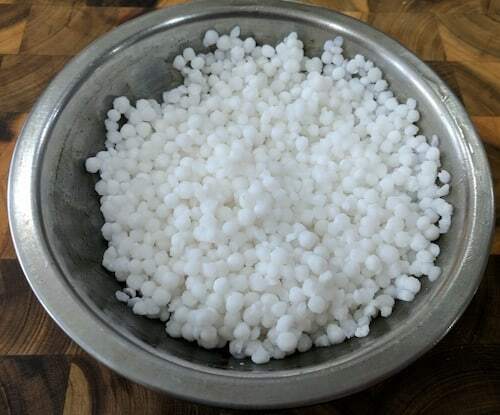 Once cooked, the tapioca will be soft and shiny like below. When you press, it should be soft but not squishy. At this stage, add the sugar, cardamom powder and the custard mix. Combine all the ingredients and let it simmer on low flame until the sugar is dissolved. Once the sugar is dissolved, turn the heat off and add the chopped nuts. 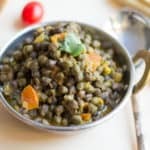 Garnish with saffron and serve hot or warm. As I mentioned in the prep-work, I added the custard powder directly by mistake and had to whisk the kheer nicely to avoid the lump formation. 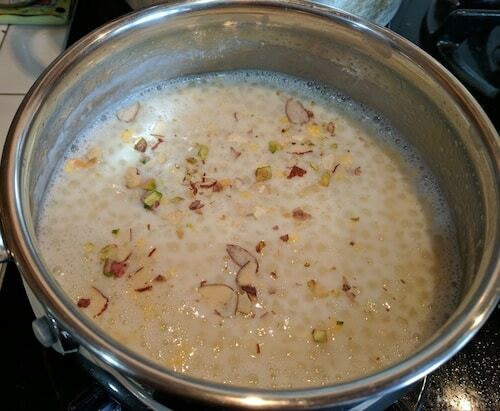 So please mix the custard in luke-warm water or milk and add it to the kheer. Adjust the sugar and nuts as per your preference. 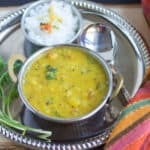 You can temper the nuts in ghee and add it to the kheer. 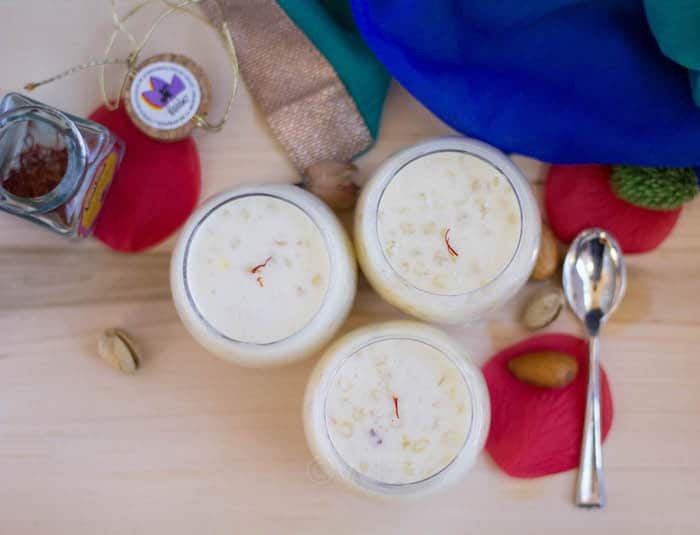 As we prefer this kheer cold, I avoid the ghee tempering. 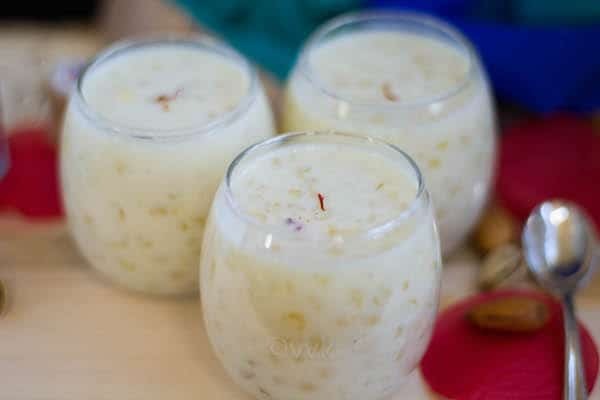 Javvarisi Payasam | Sago Kheer | Saggubiyyam Payasam - A simple sweet pudding prepared with milk, sugar and tapioca pearls. Mix the custard powder in 2 tbsps of water and set aside. I directly added the custard powder, but I would recommend to mix the custard powder with water or milk. In about 7 to 8, minutes the tapioca will be cooked. 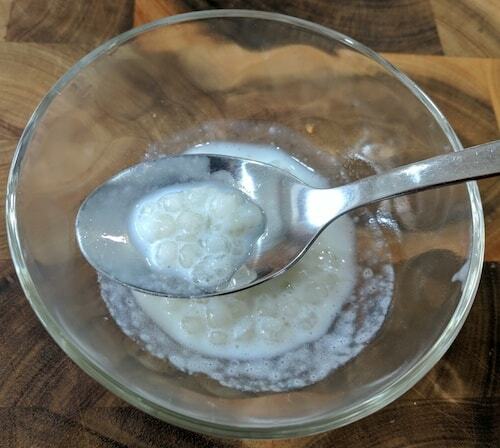 Once cooked, the tapioca will be soft and shiny and transparent like below. When you press, it should be soft but not squishy. 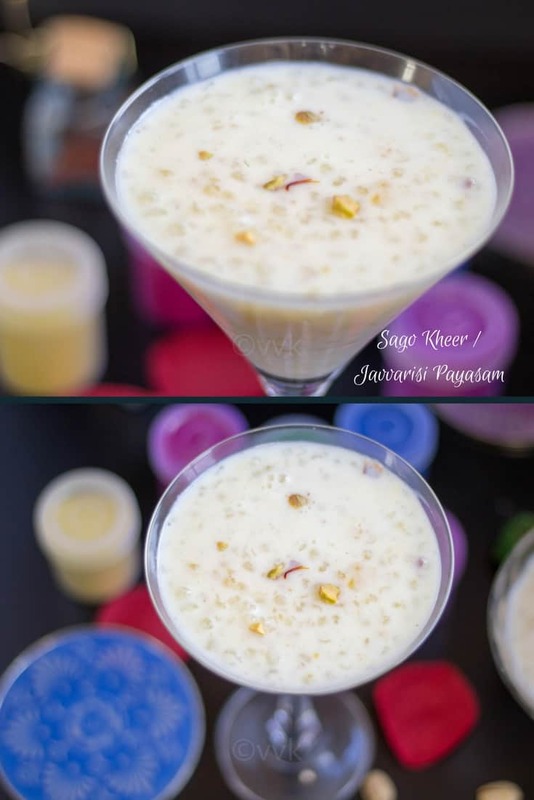 Lovely payasam. 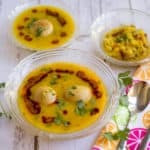 Never added custard powder to sago kheer. Wow, look so yummy. Thanks for the recipe. Same pinch.. This was one of the standard kheer served in our hostel too. Thanks so much CH. I wish I could send you some.